I got my hands on a front bumper from a 97-99 eddie bauer for $30. 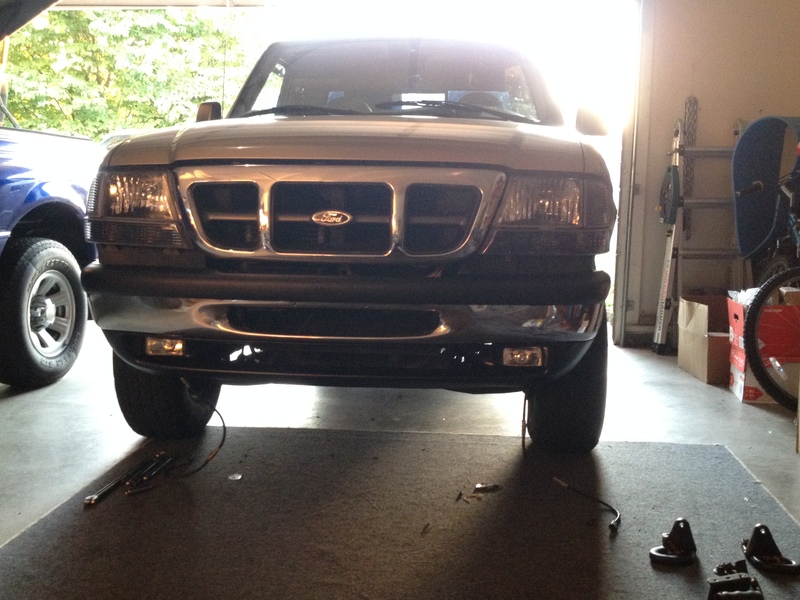 Fog lights and all, a quick coat of paint and shine on the chrome and its ready to go. Am i correct in saying it bolts up the same as a ranger bumper? anybody know? Yes, it bolts straight on. However, you will need to extend the slots so it slights up to your headlights and bumper; otherwise there's a fair gap.